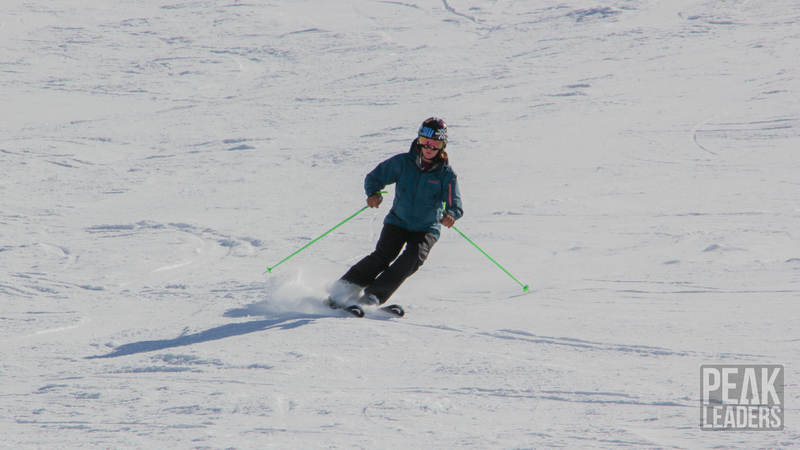 What made you decide to do a ski instructor course? I had completed a season beforehand in France working in a bar. I then decided that I really wanted to be an instructor and to spend more time in the mountains, so I started looking into it. What made you choose Peak Leaders? 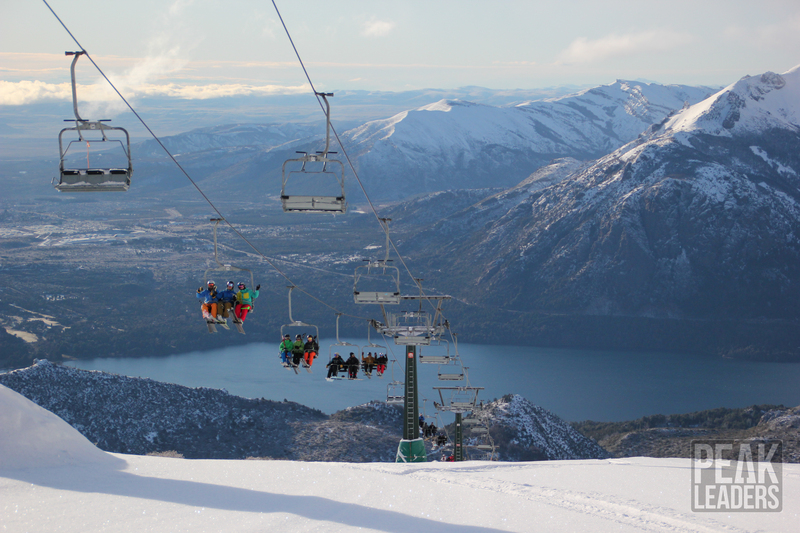 Outstanding views from Cerro Catedral with the town of Bariloche in the background. A lot of my friends recommended Peak Leaders to me so then I booked on immediately. Argentina specifically, because I wanted to do it in the summer. I was looking at New Zealand and then I found Argentina. The price was cheaper than New Zealand and it’s South America, it’s somewhere else to visit. 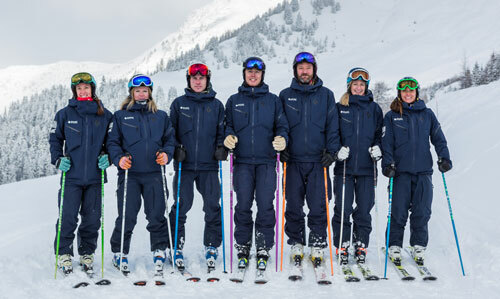 How much preparation had you done beforehand – did you feel it was enough to become a Ski Instructor Graduate? 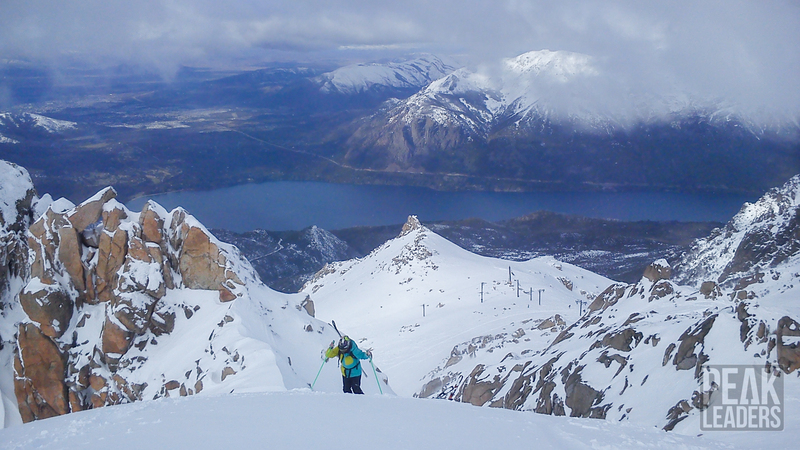 Ski wise – I had skied my whole life so I knew that I could do it. Theory wise – I knew nothing! You get there and it’s a bit of a shock but it was worth it and it comes naturally to you. How did you enjoy the group dynamic? It was really nice because we were all together the whole time and you obviously make new freinds and meet many locals. Who trained you and what was the best thing about the training? So, we had the Argentinian trainers to begin with – they were hysterical! Jorge and Tety. They were great because they introduced you to it gently and then also if there was a bit of powder they’d be like “let’s just get to that quickly!”. And then the BASI trainers arrived (ooohh big BASI!) and you’re petrified of them, to begin with, but then you realise that they’re just a bag full of laughs as well! 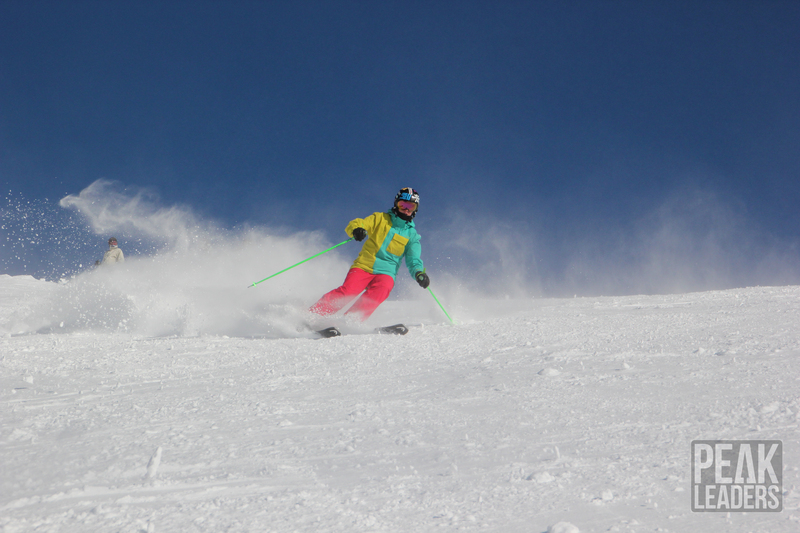 They were much more intense – training all day, every day – but ridiculously good skiers so they make you want to ski like them. Oh and Agustin obviously – dreamy! Okay on that note, tell us a little about Agustin, Jorge and Tety, Ivan and Colo? Ivan the ‘general Argentinian maniac’! So, Ivan and Colo help run the course. 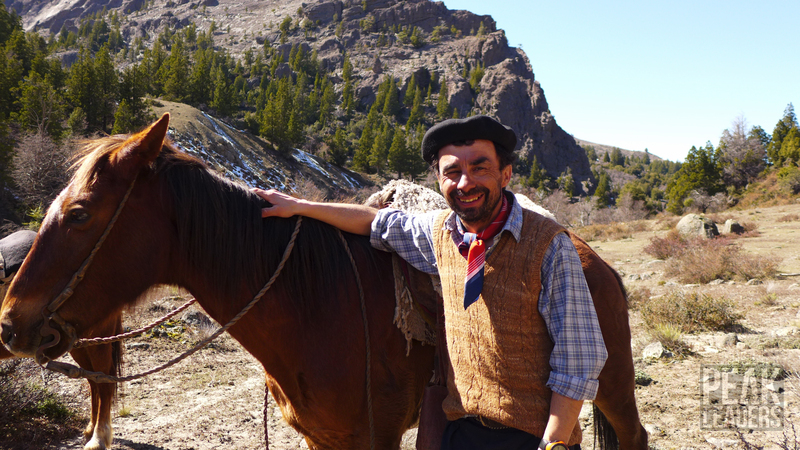 Colo’s a local mountain guide and Ivan is a general Argentinian maniac! He skied in the Olympics, absolutely ridiculous skier, scared of nothing. Jorge and Tety, they were our two group trainers who trained us for the four weeks before the BASI Trainers came out. They were great, locals who had grown up there. And Agustin is the most beautiful skier you’ll ever see. He raced for Argentina at the 2010 Vancouver Olympics. He also runs a snow school for kids in Courcheval in winter. He gave us race training and hints/tips for everything. He was cracking! Where did you stay and what did you think about the accommodation? Oh my god! El Retorno – the most ridiculous view from a bedroom window you will ever see in your life! So lovely. 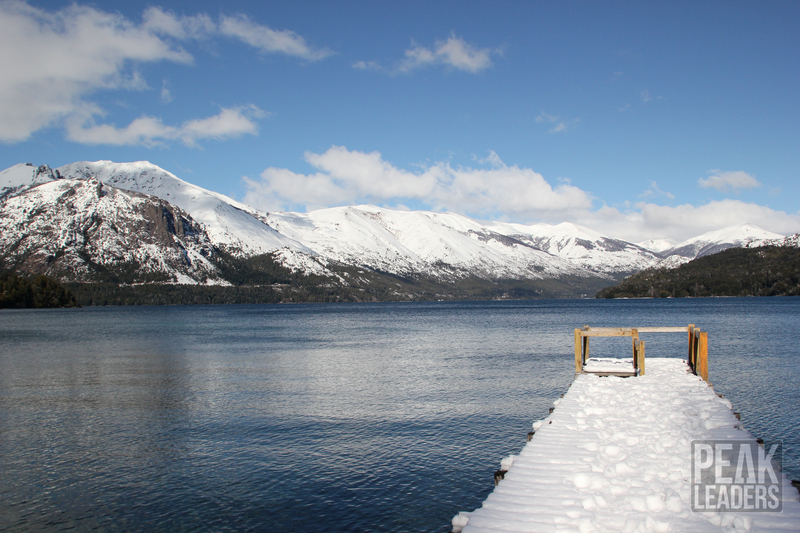 It was down the mountain so it wasn’t in the resort, it was on a lake (Lago Gutierrez). It’s amazing living in a hotel for that long. It was so nice, people making your bed every day! Cracking food, really lovely hotel staff and we were the only people there. The bus was just outside so we could go out to Bariloche. What sort of activities/trips were available off the mountain? 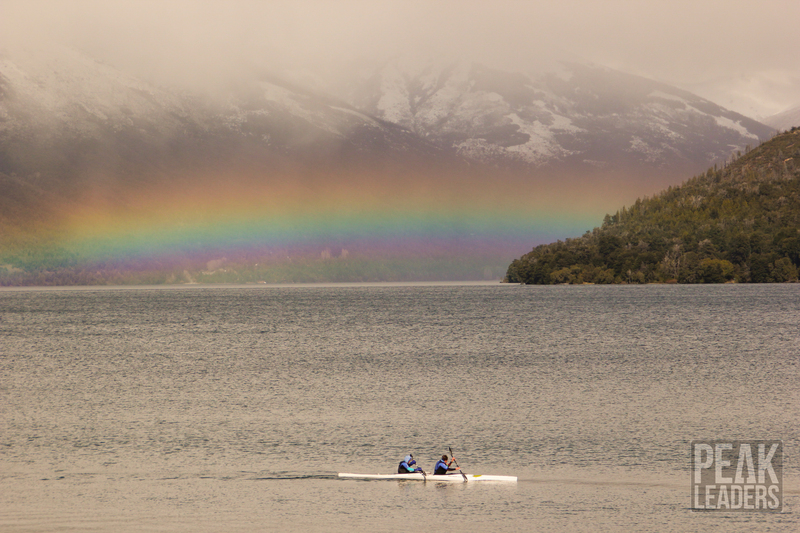 Lots of cycling, you can do kayaking, lots of pubs – that’s what I liked – you can hire a car and go to Chile which is what we did, that was really fun! 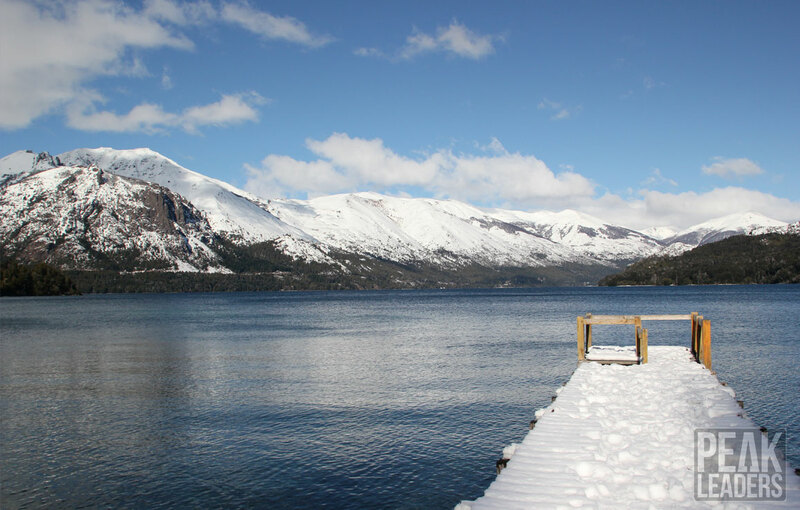 Cat skiing, running, we went to the waterfall (Cascada de los Duendes) by the lake, that was beautiful. Lots of really nice long walks. What else? FOOTBALL! I played football in these ridiculous places in the middle of the local villages overlooking the lake (Lago Nahuel Huapi). Describe a typical day – if there was one? 7.30am breakfast and every week you’d have a couple of team leaders who were on briefings so they would either get up early or do it whilst everyone was eating. You basically summarised weather conditions, what you’re doing for the day and also be interactive with the group, trying to get everyone working, thinking before you get on the mountain. Then you get a bus up to the resort, ski all morning, have some lunch, ski all afternoon, come back and chill (before the BASI Trainers got there!). Jumping in the lake – that was so good! Refreshing. 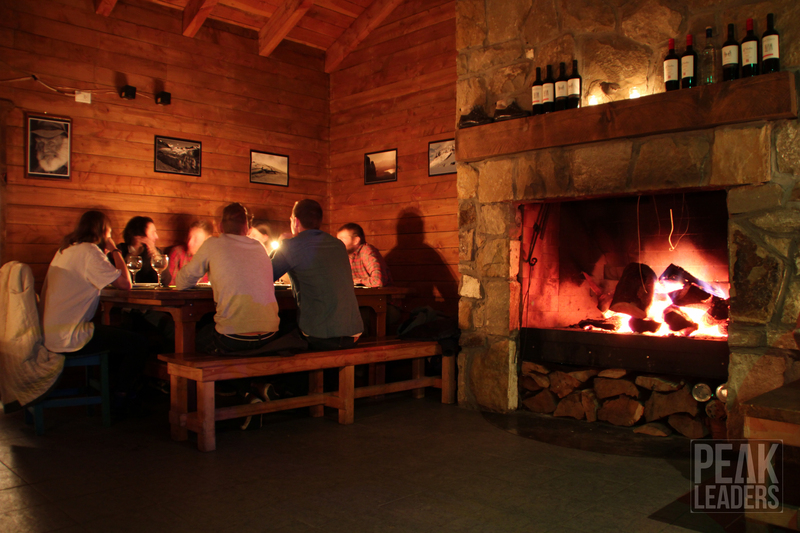 Describe a typical night out in Bariloche? They had really lovely small little bars that you usually go to for a good pint. They have local beers and stuff which were amazing to try. You find all these little places and the more time you spend there, the more you speak to the other instructors you’re working with and they tell you where to go. Really good food places and then the occasional club. 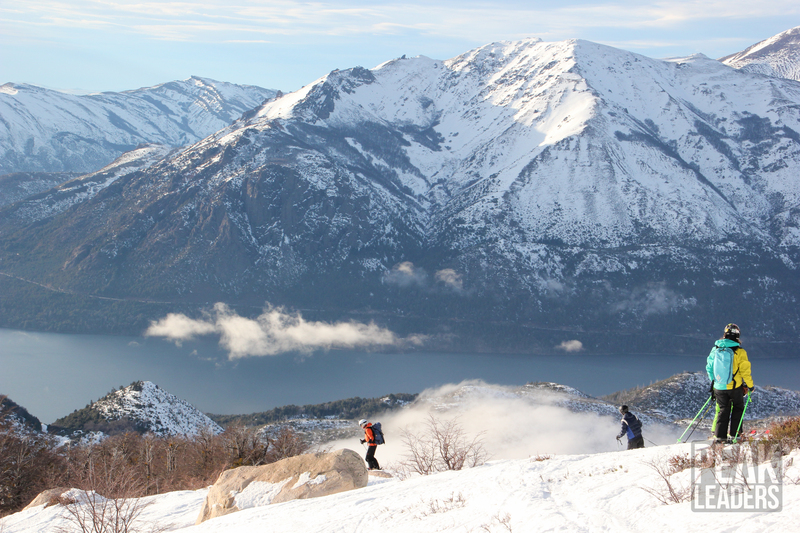 La Luna as well – that’s more of the locals one outside of Bariloche, that was really fun. How were you treated by the locals? To begin with, they were very much like ‘Oh my god it’s the English!’ but then we just became one of them which was nice. And the people we worked with, who we followed [shadowed] doing the teaching, they were delightful. Lovely, very interested in us and just wanted to help. It’s just right down to basics. Amazing steak! They just cook it all on the BBQ, every week we would have one it’s so weird because you never think steak could do it but it literally melts in your mouth it’s like chocolate melting but it’s steak and it’s amazing! And you pop up to the shop, get a bottle of red wine each and it sees you off for the evening. It’s fantastic! How difficult did you/the group find the BASI exams? They were hard. It’s not easy. 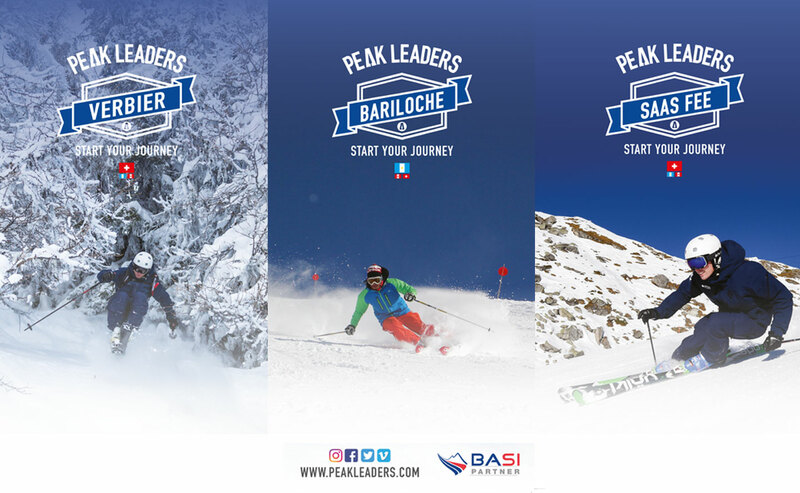 BASI 1 I think came at the right time for us, we were ready to do it. This made us realise we were going to have to work bloody hard for BASI 2! It was much harder than I thought it would be but as long as you put the work in and you take on board everything the trainer says and not be put out by it then you’ll be fine. How much help were Peak Leaders with finding work following the course? Oh they were ridiculously good! “Stevie’s CVs” helped us, they adapted our CVs to being more skiing based, they provided us with a list of contacts that they’ve had success with in the past so you can email whoever you want all over the world. All of us had interviews while we were out there, Skype interviews, and all of us were successful in gaining a job who wanted a job. What have you done since completing the course? 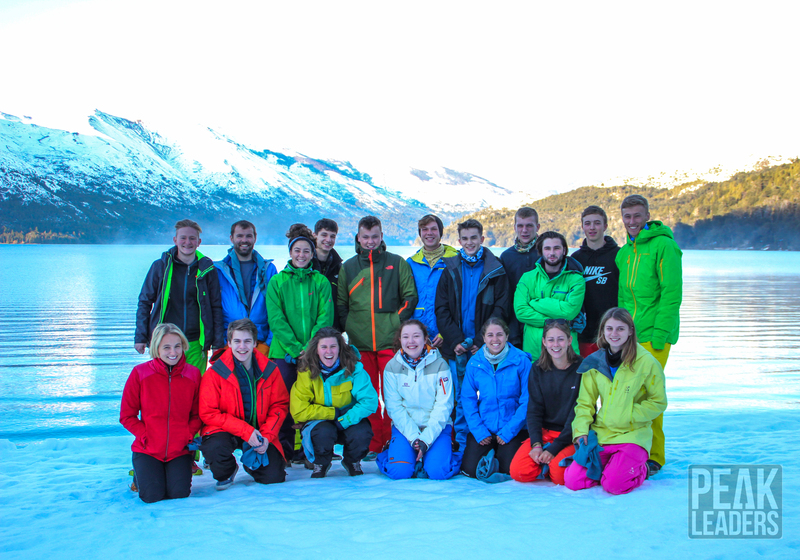 After becoming a Ski Instructor Graduate, I got back and had a 4 day turn around to go to University which I wasn’t too keen on at the time but thanks to Peak Leaders I got a job so I can work peak season. During my University studies I’ll go and teach for a week every now and then which is great. 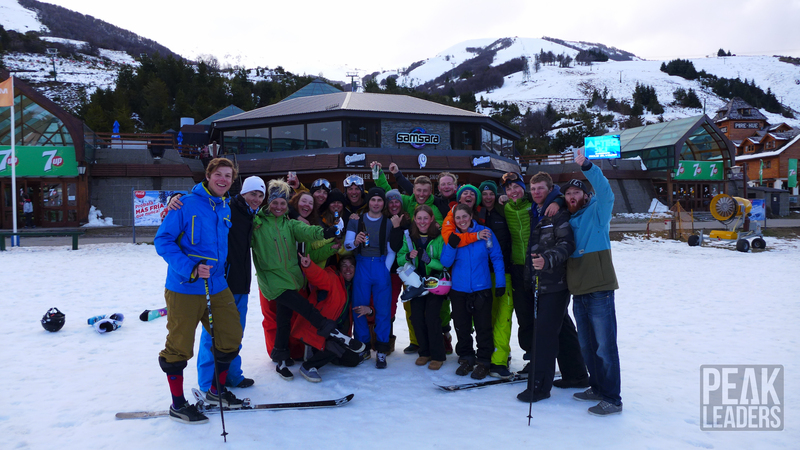 What is the best part of being a ski instructor graduate? You get a lot more respect. You do get a lot more respect on the mountain if you’re wearing your jacket and from children and people you know. 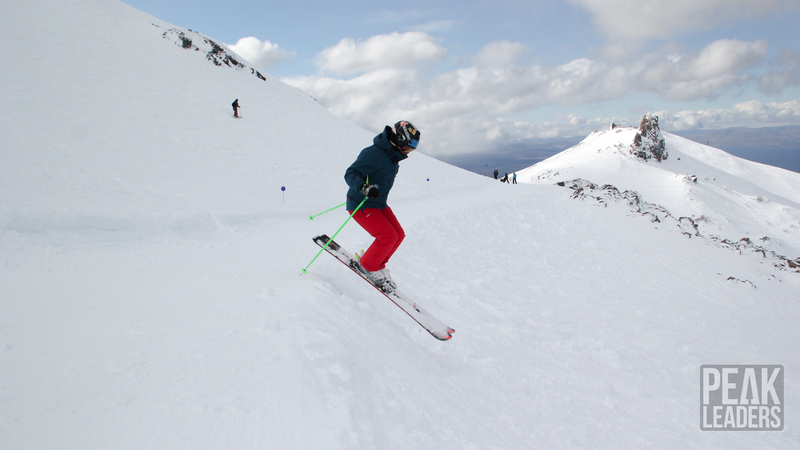 If they know you are instructor you’re clearly a bloody good skier. But also when you’re the instructor I just find seeing the progression in the kids that you’re teaching absolutely incredible and that’s why I want to do it in the future. Yeah I went to Chile for a weekend, very impromptu trip. 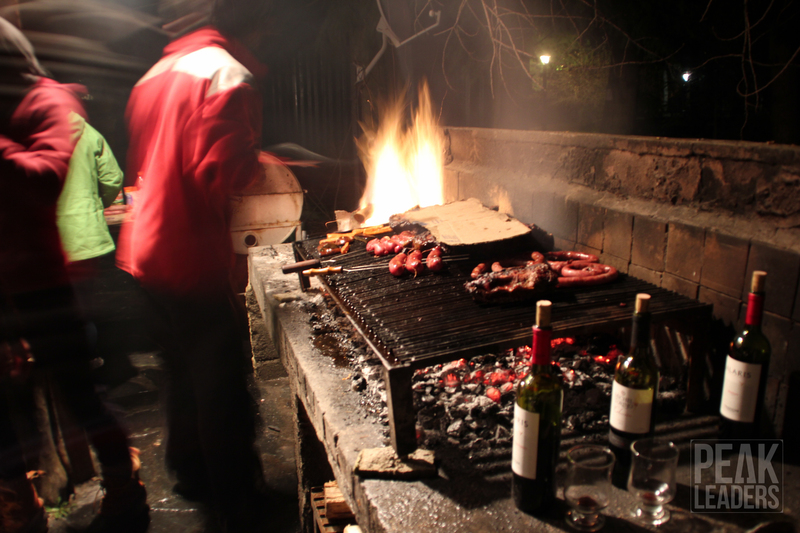 At an asado, decided to hire a car for the following morning. 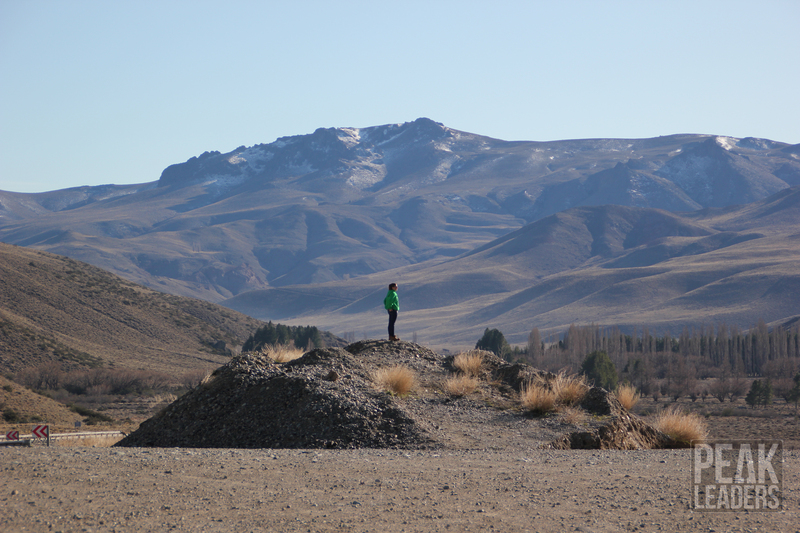 We just went round all the volcanoes, the lakes, into Chilean towns. It’s lovely. It’s a huge culture shock! 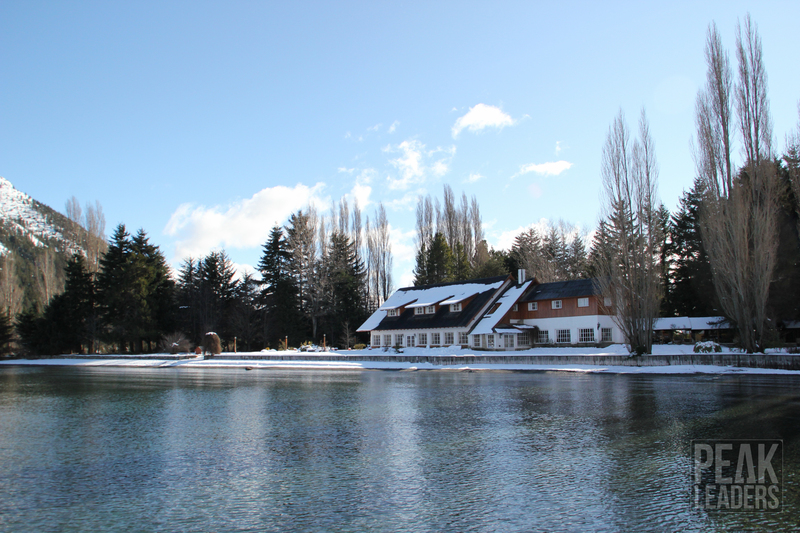 We went to Puerto Varas which was very cool and everyone was so helpful. And then Buenos Aires. What did we do? Oh the cemetery! I loved that, I was recommended it from all of my friends who had travelled there. It was brilliant and just walking through the streets, it’s such a peaceful country. 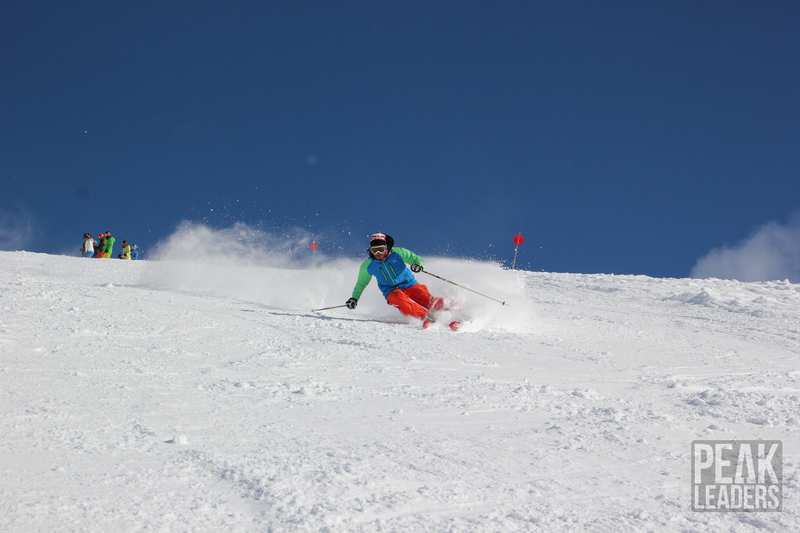 Best thing about the course and becoming a Ski Instructor Graduate? 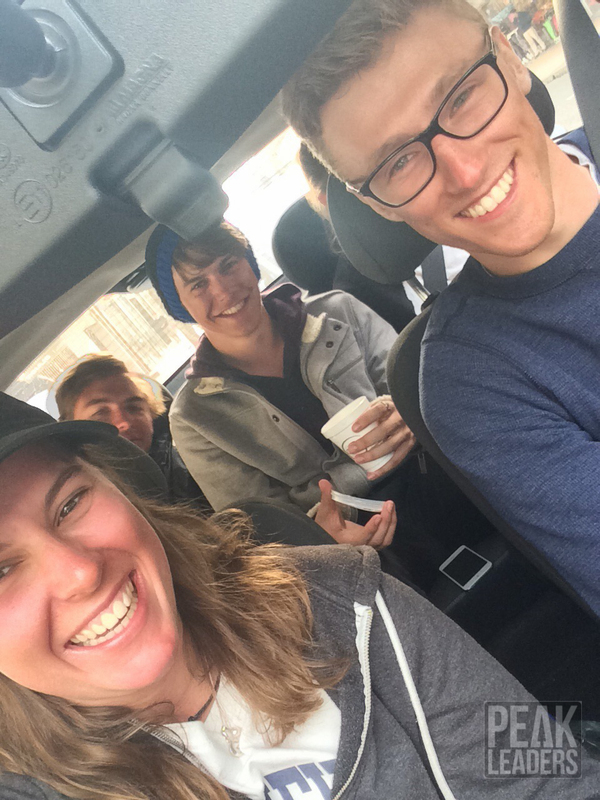 The feeling when you’ve passed and become a Ski Instructor Graduate! All your hard work has gone into something and you’ve passed and it’s just brilliant. But it’s all the people you meet at the same time. The people you meet and you live with, you get to know them and you can all go off and do different things together with different people. It was just amazing. You experience the culture and you try and fit in. I loved it. What is your top tip for anyone considering a gap year/career break? George hiking to the top of Lagunita for some South American freeriding! 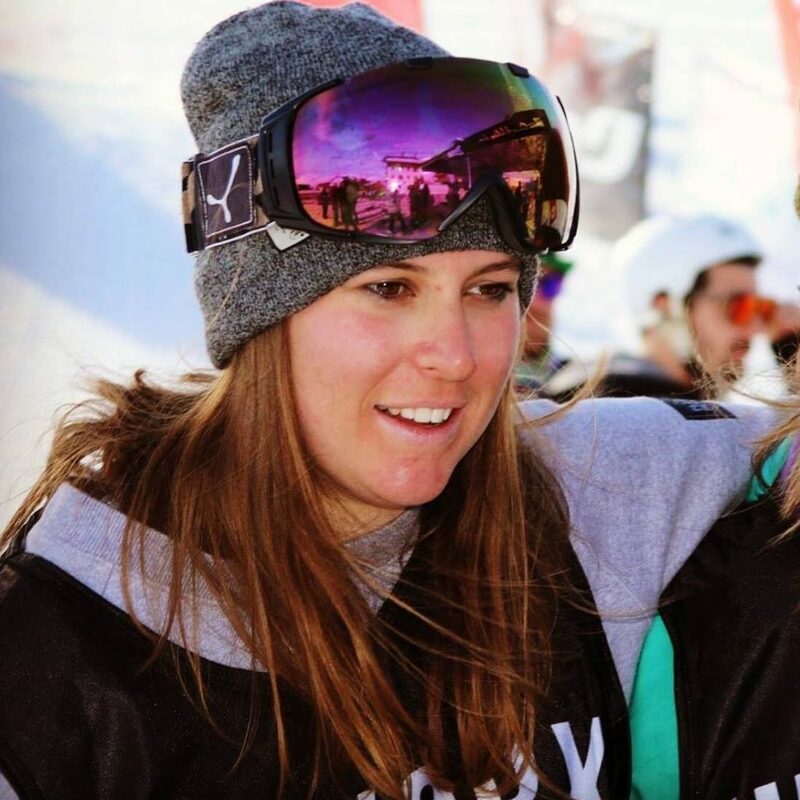 Do something that you’re going to love and could potentially see a career in because it’s fuelled my desire to do anything in the snowsports industry. And travelling is fantastic fun because the people you meet – it’s all about the experience. 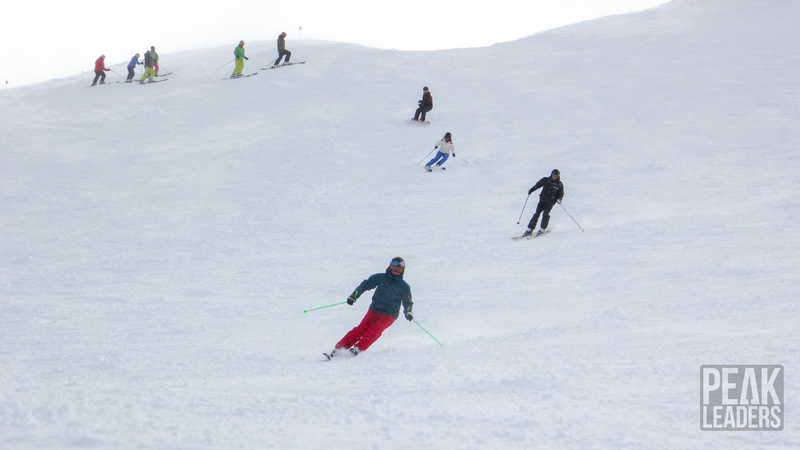 Want to get your ski or snowboard ticket?